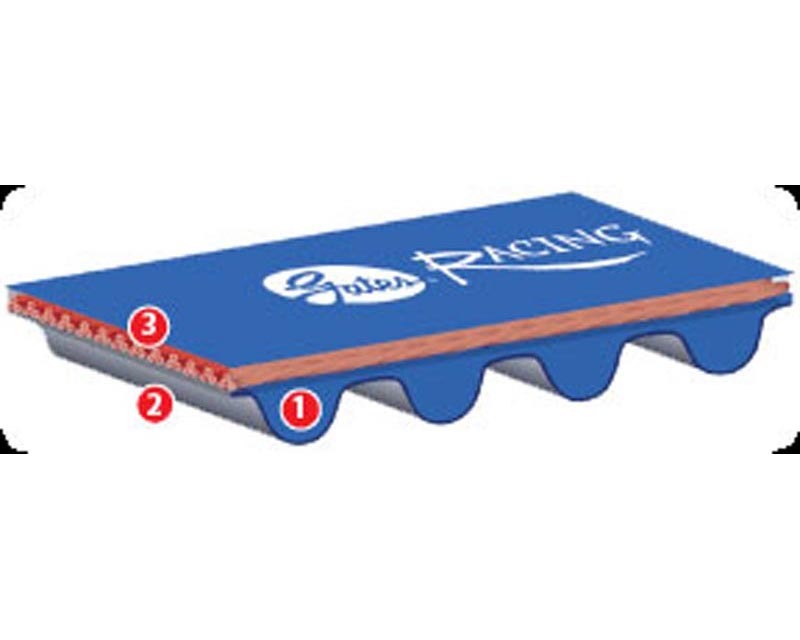 Incredibly strong, extremely heat resistant. Tough enough to take the worst pummeling your engine can dish out. 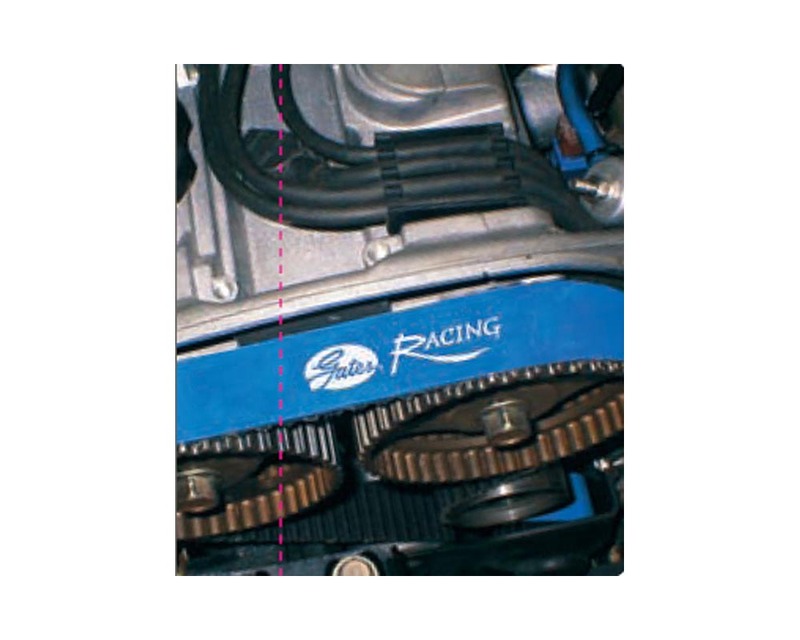 No other belts help protect your engine and deliver high performance like Gates Racing Performance Timing Belts. Yes, the color gives you a hot custom look. But look deeper. 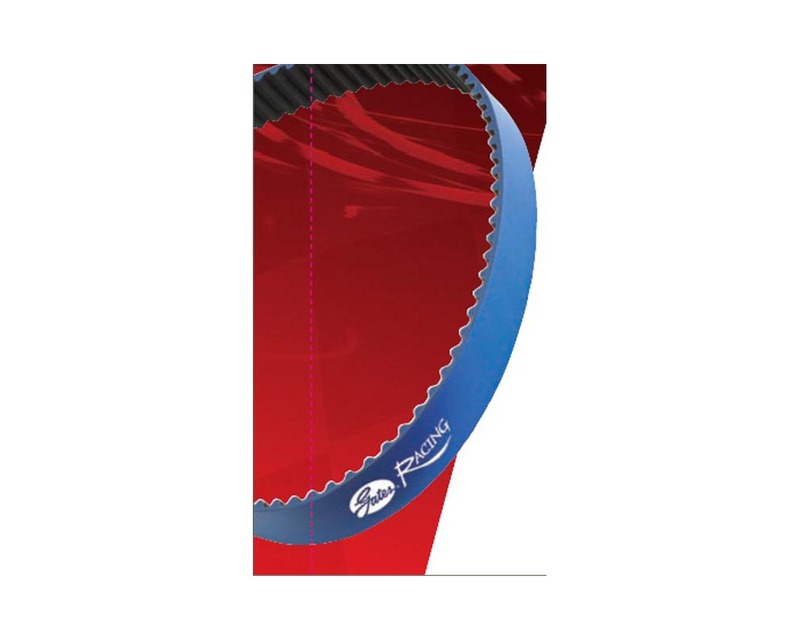 Constructed of HNBR elastomeric composites, Gates Racing Performance Timing Belts are 300% stronger than stock belts and deliver up to three times the heat resistance. You can count on them to hold up to the rigors of high horsepower, even with interference engines. 1. Wear Resistant Teeth. High saturation HNBR elastomeric composites contribute to the exceptional durability and heat resistance with aramid reinforcement. 2. Robust Reinforced Tooth Jacket. Durable nylon fiber provides extra wear resistance, doubling tooth strength. 3. Super Strong Tensile Cord. Added strength comes from premium, high-strength glass cords.